It uses the best quality equipment, such as sensors, controllers, cameras and motion detector devices. Numerous kinds of customized sensors and cameras are used to cover every corner of the building or area of a home. The examples of main devices include doorbell camera, ping camera, window/door sensor, glass break sensor, freeze sensor, smart thermostats and others. t uses numerous types of control systems that fit 100% to the needs of different alarm systems for business as well as for the households. You can easily arm and disarm many kinds of functions/features while leaving and returning the place respectively. You can also set different parameters of alarms through simple touch screen inputs. 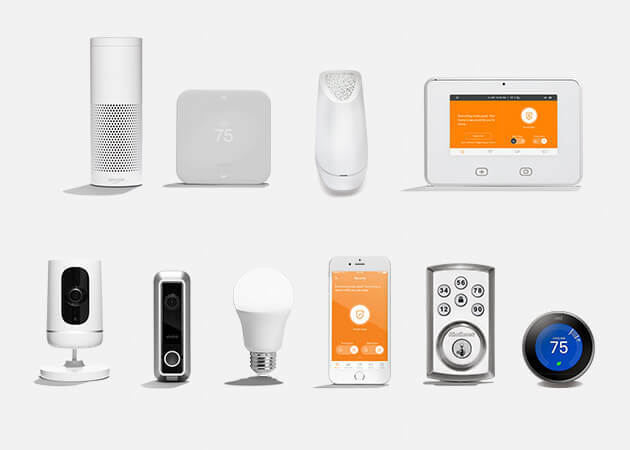 Vivint alarm system generates true alarms based on the input from the powerful sensors and motion detector elements without any longer delays. The automatic system alert – through email and text – is also sent to the monitoring team as well as to the owner of the place. You can also generate a manual alarm and alert to the monitoring team for instant support through one-touch button on the panel screen. Vivint Inc security systems are equally used as alarm systems for businesses and for household applications. You can also customize the alarm systems to match the requirements of any building, garage or any business area. The entire system is equipped with many other miscellaneous features, such as long life battery, energy efficient systems, easy to operate, wireless connectivity, cloud and mobile application support and two way voice system to communicate with the central station.